That concludes our live page for today, but we thought we'd sign off with voice artist Brian Hull giving you his rendition of Adele's Hello, featuring the full panoply of animated characters for which he's known. It's worth holding out for Donald Duck! The never decreasing puddle outside the London home of Dame Joan Collins was the subject of much discussion on social media last week - and was even a point of discussion on Have I Got News For You. Dame Joan contacted Westminster City Council about the puddle which she claimed "could fit the Swiss Navy". But she did not anticipate the Twitter backlash her "first world problem" would prompt. Writing in The Spectator today, Dame Joan said she received "a torrent of abuse and nasty tweets advising to me to ‘get over it’, ‘wear wellies’ and even one ‘go back to where you came from’ - which, considering I’m from London, left me wondering where he meant". Meanwhile, Westminster Council have carried out an assessment on the puddle, but told the veteran star further work on the watery abyss "would carry significant cost implications". "In the meantime, I have become adept at circumventing the puddle with great dexterity," wrote Dame Joan. "My puddle is keeping me fit." The Ivor Novello Awards are being handed out thick and fast now. The best song muscially and lyrically was won by Jamie Lawson (pictured) for Wasn't Expecting That. He thanked Ed Sheeran for signing him to his label, saying he will be forever grateful to the "ginger kitten". The Happy Mondays were given an Inspiration award for inspiring creative talent in others. James Bay collected his first Ivor Novello for Hold Back The River, the second track from his debut album Chaos And The Calm. Adele was named songwriter of the year and gave her speech via a recorded video. The Supreme Court's decision not to lift the injunction over a celebrity couple and the story of an extra-marital affair has not gone down well with the newspaper editors. The executive director of the Society of Editors, Bob Satchwell, said the ruling was "disappointing". Quote Message: This is not just about the private lives of celebrities, it is about principles and practicalities. It is wrong that people in England and Wales cannot read in the media of their choice whatever everyone else in the world knows already. In practical terms...the court should not make orders which are ineffective." This is not just about the private lives of celebrities, it is about principles and practicalities. It is wrong that people in England and Wales cannot read in the media of their choice whatever everyone else in the world knows already. In practical terms...the court should not make orders which are ineffective." Mr Satchwell's group represents newspaper editors and media executives. Quote Message: Apart from bringing the courts and the law into disrepute, injunctions are an expensive waste of rich people's money and of the courts' time. The courts are overwhelmed with other important work and today's judgment may well encourage greater use of injunctions. Apart from bringing the courts and the law into disrepute, injunctions are an expensive waste of rich people's money and of the courts' time. The courts are overwhelmed with other important work and today's judgment may well encourage greater use of injunctions. Gordon Ramsay and Jesse Eisenberg will be the first two guests to appear on the revamped Top Gear when it launches at the end of the month. Both the celebrity chef and The Social Network star will be interviewed by host Chris Evans and do a lap on the new racetrack at Dunsfold Park in Surrey. The BBC confirmed there would be two guests appearing in each episode of the show throughout the series. The Sun claimed that Ramsay and Eisenberg - who is currently rehearsing for a show in London's West End - were brought in at the last minute, after Hollywood star Brad Pitt pulled out due to scheduling conflicts. Take one irascible chef, Lex Luthor, fast cars and a ginger motormouth... this could get interesting! Big news for the radio industry this morning, as the latest RAJAR figures were published. "What in the name of a fuzzy FM reception is a RAJAR?" you are probably wondering. Well, they are the listening figures for UK radio. They're published every three months and let us know how many people are listening to all national and local stations, from Capital to Classic FM. The latest figures cover January-March of this year, and, in a nutshell show that lots of people like Chris Evans, fewer people like Nick Grimshaw, and more people are tuning into BBC Radio 3. One particularly interesting stat to come out of this quarter are the latest figures for Radio X. The station, previously known as XFM, launched in September, with a whole load of big name signings including Johnny Vaughn, Ricky Wilson and Vernon Kay. Nationally, the station has gone up a whopping 40.1% since this time last year, when it was still XFM. Pretty good right? Well, not as good as it sounds - because that increase is mainly down to the fact that the station became available nationally when it rebranded. Previously it was only available in Manchester in London. And when you look specifically at the London figures, it's much worse news. The station has actually gone down 34.8% since the last quarter. It can take a long time for a new radio station to bed in, so it may take a few more months before the figures recover from the XFM fans abandoning the station. We'll keep an eye out and bring you the next batch of RAJARs in three months. By the way, RAJAR stands for Radio Joint Audience Research. If you remember that by the time of the next ones, you win a prize*. *Editor's disclaimer: Prize is a dodgy cup of tea made by Steven in the office, so it's more of a punishment than a prize, really. Iggy Pop is in Cannes to promote a documentary about him and his band, The Stooges. Gimme Danger, directed by Jim Jarmusch, chronicles the outrageous life of the band, from their numerous break-ups, their revolving door line-up and their influence on the punk music scene. Iggy's never one to stay clothed for long in front of an audience, and his Cannes photo-call appeared to be no different. James Bay has just picked up the first trophy at the 2016 Ivor Novello Awards. Hold Back The River won the most performed work prize, in recognition of the song's airplay ubiquity last year. "I definitely didn't expect this," he said, explaining: "I don't [pay attention] to the numbers." Following an acclaimed run off-Broadway, Fiasco Theater's reinvention of the Stephen Sondheim and James Lapine musical Into the Woods is heading to London’s Menier Chocolate Factory this summer. The musical, described by US critics as "inspired" and "truly enchanting", will have a limited run from 1 July. The musical was adapted for the big screen in 2014, in an all-star production starring Meryl Streep, James Corden and Emily Blunt. The Ivor Novello Awards are underway in London this lunchtime, and a whole host of musical faces have walked the red carpet. Among them are Snow Patrol, James Blake, Jess Glyn, Gaz from Supergrass and Shaun Ryder (and his e-cigarette). Friends actress Courtney Cox is also there, supporting fiancee Johnny McDaid of Snow Patrol. Who sets the trends in the fashion industry? Our colleagues at iWonder have been looking at how the fashion industry has changed. Alexa Chung meets trend forecasters WGSN. Holly Willoughby is to host a new dating show on ITV. Meet the Parents puts the love lives of romantic hopefuls in the hands of those who "know them best" (theoretically): Their parents. The premise? Would-be daters meet the parents of their potential love interest first - and find out what to expect and whether to take it further. So if you want your mum enlightening a potential suitor about your penchant for wearing your underpants over your trousers superhero-style, or sharing your teenage Flashdance routine, complete with photographic evidence - now's your chance. It's undoubtedly a perk of the job as a theatre critic to get a free ticket to see a performance. As is the benefit of getting a free "plus one" to allow an additional person to come along to enjoy the show too. 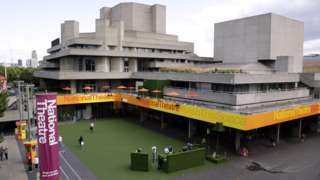 But the National Theatre has announced plans to scrap the traditional plus one and instead charge a fee for a second ticket, aiming to offer more free tickets to bloggers and other online writers. Theatre critics have been expressing their concern over the matter - what do you think - unfair or fair enough? 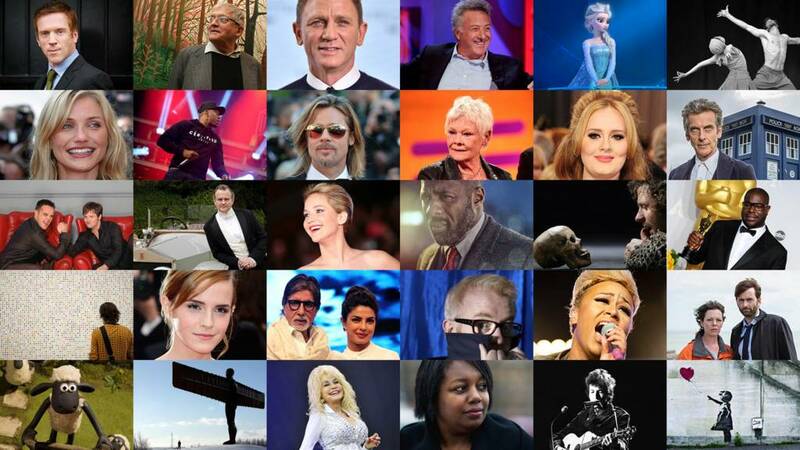 Tweet @BBCNewsEnts or email entertainment.news@bbc.co.uk and let us know. The National Theatre is to introduce a policy banning critics from bringing so-called "plus ones" free of charge to performances. Warren Beatty - who has been out of the public eye for some time - has been talking to Entertainment Weekly about his long-gestating Howard Hughes project. The film, entitled Rules Don't Apply, is released this November and stars Lily Collins and Alden Ehrenreich (reportedly the new Han Solo) as an aspiring actress and her personal driver who start a romance, but have to circumvent Hughes's strict rules about on-set fraternisation. Beatty, 79 - who has been nominated for an Oscar 15 times - will both direct and play the role of Hughes. His wife, Annette Bening, will also co-star in the film. Asked why he had been out of the limelight for so long - Rules Don't Apply is his first film in 15 years - the father of four revealed he was a family man at heart. Quote Message: I have four children and any one of them is more interesting than any 12 movies I’ve done. I have four children and any one of them is more interesting than any 12 movies I’ve done. CBS All Access has released a teaser for the rebooted Star Trek television series. It has the tagline "new crews, new villains, new heroes, new worlds" but the theme tune sounds pretty familiar. The series will begin in spring 2017, and as yet no cast have been announced. The British Museum has been temporarily closed because of a Greenpeace protest about BP's sponsorship of their latest exhibition, Sunken Cities. Images posted on Twitter show activists climbing the columns outside the London museum. Climbers are attempting to rebrand the exhibition as Sinking Cities on its opening day. Greenpeace labelled BP's sponsorship "the irony of an oil company sponsoring an exhibition whose name practically spells out impacts of climate change". Quote Message: The British Museum dedicates itself to learning, discovery and the conservation of human cultures, but the only discoveries BP seeks are more fossil fuels to dig up and burn which are already polluting our air and warming our world. The British Museum dedicates itself to learning, discovery and the conservation of human cultures, but the only discoveries BP seeks are more fossil fuels to dig up and burn which are already polluting our air and warming our world. A BP spokesman said: "BP has a long history as a major supporter of arts and culture in the UK and we are proud to have partnered the British Museum for 20 years, supporting significant exhibitions such as the new Sunken Cities exhibition." Jesse Eisenberg, who stars in Woody Allen's latest film, Cafe Society, has ducked questions about sexual abuse allegations surrounding the US director, saying: "It's not my place to get involved in something like that." Eisenberg, who has appeared in two of Allen's films, told BBC Arts correspondent Rebecca Jones that his interactions with Allen had been "minimal on a social level, and very wonderful and cordial on a professional level". "I think it's dangerous to try people in the press," he added. The Social Network star also revealed he had issues with a stalker, but argued that "the benefits of my public presence outweigh, to an unbelievably disproportionate degree, the annoyances that I have to deal with". Joe Jackson, the head of the Jackson clan, has been admitted to hospital in Los Angeles. Son Jermaine said the 87-year-old had been admitted after attending a routine doctor's appointment..
Jermaine told TMZ that Joe was doing much better and is in his room "telling jokes" and that all his vital signs were good. Quote Message: He's just tired, he's 87. We are just holding on to him as long as possible. He's just tired, he's 87. We are just holding on to him as long as possible. Michael Buble is taking a break from singing to have surgery on his vocal cords, cancelling two big upcoming events so he's got time to "rest and recover". The star reassured fans that his "doctors expect a complete recovery" but in a post on Twitter, he admitted there would be "no talking or singing for a while". Buble was due to perform at a Marvin Gaye Tribute next month as well as being honoured with the Canadian Governor General Performance Arts Award.